So without further ado, here is the eleventh post in my series of favourite pole fitness, health and nutrition articles I read this month! First up this month is a topic that has been on my mind recently. I've been putting together my first competition routine and I know there's a lot of you out there considering competing. While competition isn't for everyone, I thought you might find these pole competition tips from judge Robyn Edwards over at Unique Aerialists really helpful. If you're not looking to compete, this advice can still help you to really clean up the routines you create at home! #2) Why Are Pole Classes So Expensive? The second topic at the forefront of my mind this month was the cost of pole classes. There was a rather large debate on social media recently about how much pole classes should cost and whether they are too expensive. This article at United Pole Artists explains the excellent value for money you really get from your pole classes. It's not just a case of filling up a room with people like you would for yoga for example. So if you've been wondering why pole classes cost so much, or even questioning their value, you should have a read of this article! Following on with that same topic, if pole classes seem a little out of your price range this article from Push & Pole is for you. 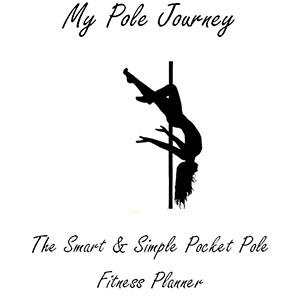 It's full of money saving tips to help you budget for pole class. Pole classes aren't cheap, classes have to be small and you can't just fill a room up like you can with yoga, zumba or pilates. So if you don't want to start learning pole fitness at home to save yourself some money in the long run, these tips will help you to make it a more affordable hobby! This article by Ebony over at Cleo's Rock N' Pole reveals some of the top myths you might hear about flexibility. Do you feel like you can't get flexible because of your age or genetics? Or perhaps you just think you need to be super bendy to be a good pole dancer? Either way this myth busting article has some helpful tips to guide you on your flexibility quest! #5) Why Is There So Much Injury In The Pole Community? With competitive pole dancing being a new sport that has accelerated and evolved so quickly to include new feats of strength and flexibility, there are a number of reasons why injury is common in the industry. In this article Liz over at Bendy Beast reveals three reasons why injuries are so common and the steps we can take to avoid it. Have you suffered an injury from pole recently? If you have you can also take a look at my article on what to do in the event of an injury. It has some helpful tips on how to avoid hurting yourself too! With spring arriving and summer just around the corner you might be thinking about getting a little spring cleaning done. Nina over at the Bad Kitty blog has some great tips for spring cleaning your pole life, from refreshing your pole space to rethinking your goals for the year ahead! You'll find some great ideas to refresh your pole life and get re-motivated! A lot of people who don't have access to a pole at home wonder what they can do to improve their performance in class. Often the focus is on stretching or other exercises you can do without a pole, but sometimes you just have to keep it simple! That's why I'm loving these body positive pole hacks from Holly over at Pole Freaks this month! There are so many easy ways to improve your performance on the pole, and this goes for those of you that do have a pole at home as well! #8) What Is The Best Source Of Protein? Pole training is very strenuous on our muscles as a fitness activity and it's important we don't wear ourselves out. One of the main things you need for muscle recovery and repair is rest, so make sure you're getting enough of it. The other key to muscle growth is protein. You need to make sure you are getting enough protein for your fitness goals, whether you're aiming for fat loss, building muscle, staying full for longer or just staying healthy. This helpful article by Adam over at Born Fitness reveals different protein sources in order of which are the richest in protein to help you decide which is the best for your goals. #9) Do You Know How To Listen To Your Body? 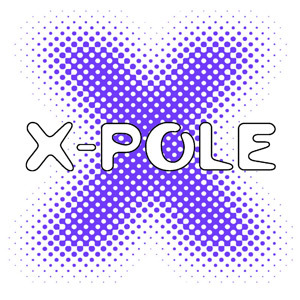 In pole we hear the phrase 'Listen to your body' thrown around a lot, whether it's for stretching technique or to avoid or recover from injuries. This brilliant guide by Jessi Kneeland opens by helping you to understand exactly what it means to listen to your body. She then goes on to reveal nine amazing benefits both mental and physical that you'll take away when you really tune in to your body's needs. 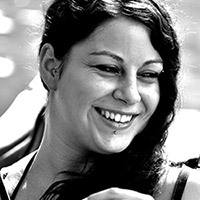 This month's tips for mum's are written by Abby in her guest post over at Pole With Peach. She reveals how pregnancy affected her pole dancing both before and after baby's arrival, from baby blues to getting back on the pole. She wraps up the article with six helpful points for you to remember in your journey as a mother and pole dancer and reminds us of the importance of self-love! I've been feeling a little blue since leaving the sunny climates of Costa Rica and returning to the cold British weather. With summer coming just around the corner and the weather warming up a little this month's top healthy recipe for me was a taste of home. I actually didn't follow this exact Ceviche recipe, but you can use it if you need more step by step instructions than mine. In the tropics of Costa Rica I would usually use parrot fish for this dish but in England I just substituted that with cod. Any white fish you prefer should be fine. To prepare all you need to do is dice the fish and very finely chop all of your other ingredients, pop them all in a bowl or tupperware tub. Squeeze in the juice from all the limes until the juice is just covering your ingredients and then add the salt. Give it all a stir to mix it up and leave for around 40 minutes to allow the lime juice and salt to cure the fish, and then it's ready to eat! This month's healthy tasty treat is another one to celebrate the return of the sunny weather! Kiwi ice pops are a great way to get in some fruit and enjoy a cooling ice lolly in the sun. To make it healthier you can leave out the syrup, I personally don't see much need for it but you can always add it if you have a super sweet tooth! It's as simple as blending up the fruit and popping it in the freezer. Easy! Here we have a healthy chocolate shake recipe. That's right, healthy and chocolate, my favourite combination! The good news is that this shake is both vegan and gluten free! Instead of using ice cream this shake gets all of it's creamy texture from avocados, which are actually a superfood rich in protein with a bunch of other health benefits too! It also uses non-dairy chocolate chips but if you're not avoiding dairy you can use any, it's entirely up to you.